What’s for Dinner tonight (and dessert)? Have you ever baked/cooked a lot in a day and wanted to share the excitement with others?? You wish you would have made it a dinner party…that’s how I feel! I have a lot of food leftover. Hehe. Ok, to the point…what I made! Here are the pesto poppers. I made biscuit dough then put pesto and mozzarella cheese inside and closed it up. 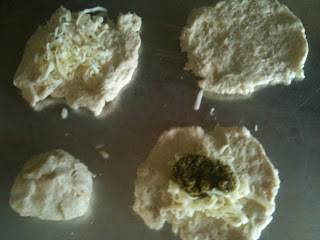 Here’s a picture below…one is the biscuit dough, then cheese, then cheese and pesto, then closed up. 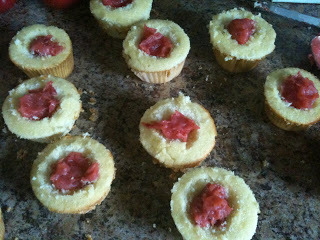 Bake about 20 minutes and yummy! Not exactly low fat but you gotta have fun sometimes! So there it is…hope you enjoyed!